There’s nothing better than coming home at the end of a long winter’s day to a house that’s warm and cozy. The furnace has been running as it should, and once you light a fire in the fireplace, your home is absolutely toasty and delightful. However, it’s those days when you walk into a cold and uncomfortable house, or you feel frigid air coming out of your vents, that you need an experienced furnace repair company. At G&R Heating and Air, we’re proud to serve South Barrington, and we can provide the service you need! 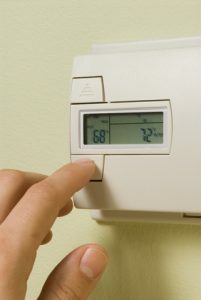 If your heating system doesn’t seem to be working correctly, you may not be sure what to do. You may have adjusted the thermostat or changed the furnace filter, but the problem could be something internal. Our technicians know how to safely take apart your system and look for faulty parts or broken components, and they can provide quality replacement parts that will get everything up and running again in no time. Perhaps you’ve just moved into a new house and you’ve decided that you want to replace the old heating system. It may be a few decades old, or you may want to change the type of fuel that heats your home. Whatever the case may be, we can help you choose the best option for your heating needs, and our team can handle the removal of your old system and the installation of the new model. We’ll gladly explain the benefits of your new furnace and how long you can expect it to last. Of course, as with any appliance, it will last longer with routine upkeep and maintenance! If you live in South Barrington and need furnace repair, contact G&R today. We’re dedicated to providing every customer with exceptional service, and we’re available 24/7 to take your call. You can reach us at (224) 419-5324 or fill out the form below and we’ll contact us as soon as possible.